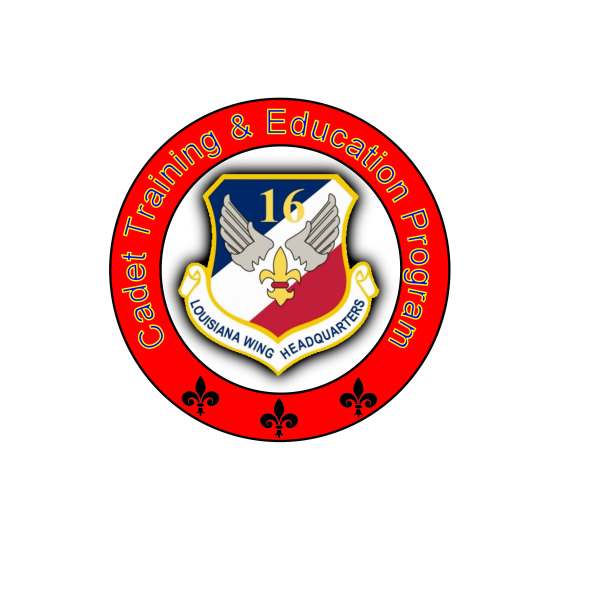 The Louisiana Wing Leadership Academy is quickly approaching. During this academy, the Cadet Programs Team will be offering an Airman Leadership School (ALS) and Non-Commissioned Officer Academy (NCOA). As such, we need a team of qualified cadet instructors to teach the valuable lessons that our students need to learn. At this time, we are accepting applications for the two courses. Positions and descriptions, as well as requirements, are listed below. HOW TO APPLY: All interested cadets should send a letter of intent describing which position they would like to apply for, what qualifications they possess that make them good candidates, and attach their CAP resume. DEADLINE: TBD - Applicants will be notified of acceptance by TBD with either acceptance or declination. Description: Responsible for ensuring that the Airman Leadership School curriculum is conducted properly and runs according to schedule. They are responsible for ensuring that instructors set the tone of the course, and that all learning objectives are met. Additionally, the director will develop a schedule for the course and assign courses (they're already prepared) for instructors. This cadet will report to the CTEP Cadet Director. Eligibility: Cadets applying must have earned the Billy Mitchell Award (C/2d Lt or higher) and be a graduate of ALS and NCOA previously. Previous ALS or NCOA instructor experience is preferred. Experience Preferred: Applicants should have a strong working knowledge of CAPR 52-16, Learn to Lead Textbooks, AFI 36-2203, CAPM 39-1, and CAPP 151. Expectations: The Cadet Director will maintain the highest standards as to set an example to all those they are responsible for. As such, they are responsible for ensuring that standards are maintained by their staff, and by the students. The director will act professionally at all times. Description: ALS Instructors are responsible for instructing individual courses, approximately one-hour in duration, during the duration of the school. Additionally, instructors will maintain the tone of the school, and ensure that learning objectives for their courses are met. Eligibility: Cadets applying must be at least a C/TSgt, preferably C/MSgt-C/CMSgt. Additionally, instructors must be graduates of ALS and NCOA previously. Experience Preferred: Applicants should have a strong working knowledge of CAPR 52-16, Learn to Lead Textbooks, AFI 36-2203, CAPM 39-1, and CAPP 151. Additionally, instructors should be comfortable with teaching in front of a group. Expectations: Instructors will maintain the highest standards as to set an example to all those they are responsible for. As such, they are responsible for ensuring that standards are maintained by the students. Instructors will ensure that they meet grooming standards, and wear their uniforms properly. Description: Responsible for ensuring that the Non-Commissioned Officer School curriculum is conducted properly and runs according to schedule. They are responsible for ensuring that instructors set the tone of the course, and that all learning objectives are met. Additionally, the director will develop a schedule for the course and assign courses (they're already prepared) for instructors. This cadet will report to the CTEP Cadet Director. Experience Preferred: Applicants should have a strong working knowledge of CAPR 52-16, Learn to Lead Textbooks, AFI 36-2203, CAPM 39-1, and CAPP 151, and be well versed in the difference between C/Airmen and C/NCOs. Description: NCOA Instructors are responsible for instructing individual courses, approximately one-hour in duration, during the duration of the school. Additionally, instructors will maintain the tone of the school, and ensure that learning objectives for their courses are met. Eligibility: Cadets applying must be at least a C/MSgt-C/1st Lt. Additionally, instructors must be graduates of ALS and NCOA previously.